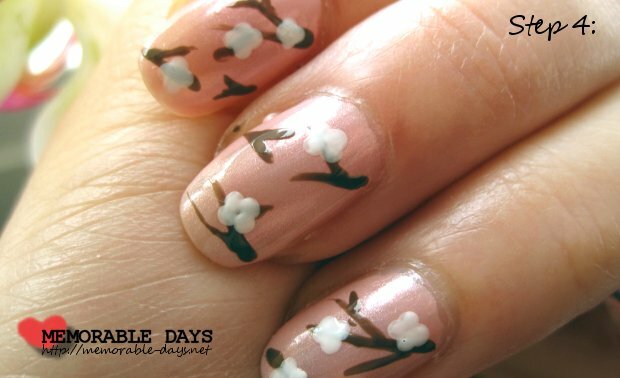 Japanese Cherry Blossom Nail Art Tutorial | Memorable Days : Beauty Blog - Korean Beauty, European, American Product Reviews. 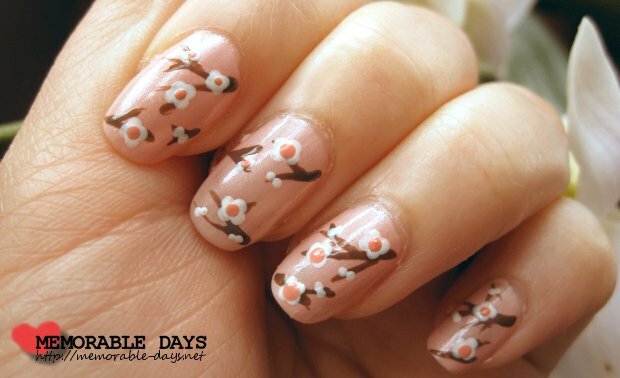 Today I would like you to show you the Japanese Cherry Blossom Nail art Tutorial. It's great for the summer ^__^. 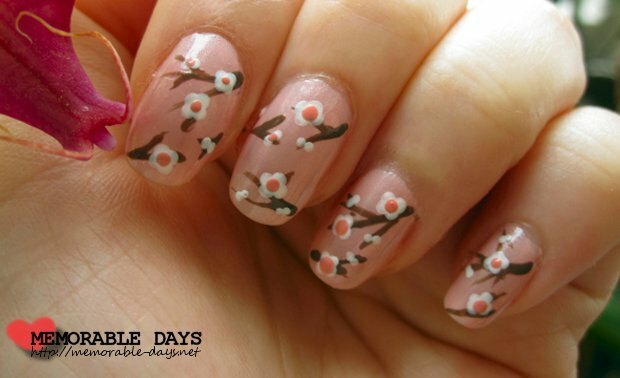 Continue reading if you want to know how to do this nail art. You can use a light pink or a light blue nail polish as the background. I always practice and match the colors on a piece of paper before I actually paint it on my nails. Which color do you prefer, light pink or blue? I used a light pink nail polish as the background in this nail art tutorial. If you use a light blue nail polish, it will look like this (see picture below). It looks pretty as well right ^__^?! Step 1: Apply a base coat and wait till its dry. Step 2: Apply a light pink or a light blue nail polish on every nail. Wait till it's dry before you move on to the next step. 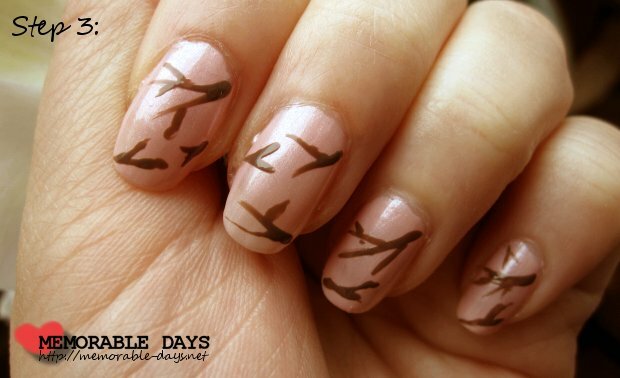 Step 3: Use a nail art brush to draw some branches with a dark brown or black nail polish. Wait till this is dry. Step 4: Use a dotting pencil (I used the yellow dotting pencil) and apply a few white dots on the branches to create flowers. Step 5: Apply some extra white dots if you get the feeling that it's a bit empty. 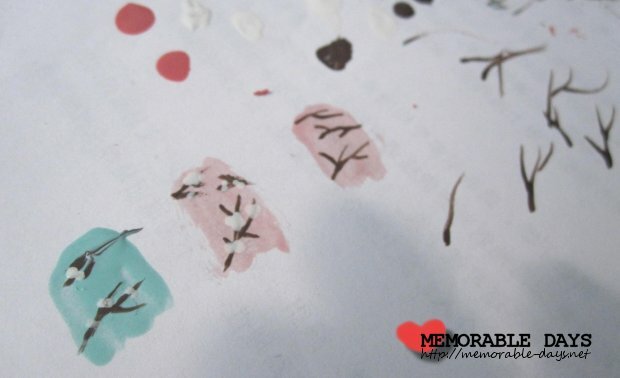 Afterwards, apply a dot with a dark pink nail polish to finish the flower. Step 6: When everything is dry, apply a top coat and you're done. What did I use for this nail art tutorial? Aww cute! 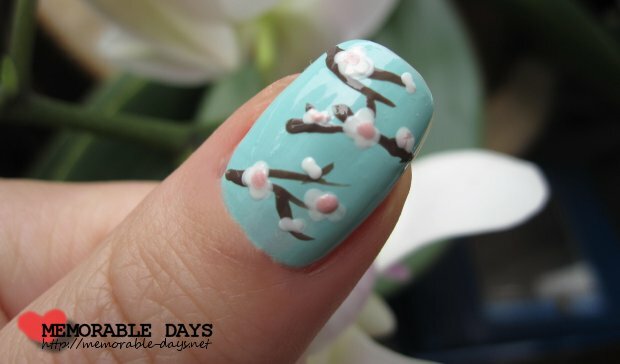 This has got to be one of my favourites from you :) I like the blue because it's really different to typical cherry blossom images but pink just looks more 'normal' to me x) I might give this nail art a go, thanks for the tutorial! Wow those are so adorable! I'm inspired! I must get some nail art pens now! Omfg I like!!!!! :) ur so talented! aww you make it look easy to do! very cute! Nah, dat staat lang niet zo mooi denk ik :) Dan kan ik net een half takje tekenen en dan is m'n nagel al vol LOL. These are so cute! You're such a pro at nail art Elisa :D I think both the blue and pink backgrounds look pretty.